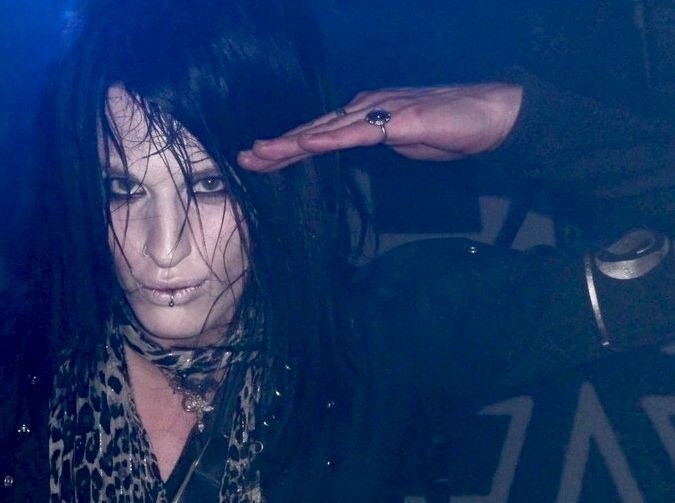 Surprising news from Sweden's capital Stockholm: Deathstars have parted ways with guitarist Cat Casino, who "wanted to focus on other things in life but death". Cat Casino: "It's been an amazing ride and I wish the band the best of luck for the future." Deathstars are planning to continue as a band consisting of four bandmembers and are currently not looking for a replacement. Bassist Skinny Disco: "It's hard to replace Cat on a personal level so we won't even bother for now. We're still close friends with Cat and it's not in our plans to look for a new partner in crime. Right now, our focus is on the recording process of the new album and after that we'll see if we continue as a 4 piece or find a replacement before the touring starts." Deathstars are going to play some shows in Australia in May 2013 and one show at the "Blackfield Festival" in Germany in June 2013 before they will hit the studio in July 2013 to record their fourth, yet untitled longplayer. If you want to enjoy an interview from the time when Cat Casino was still in Deathstars, check out Neon Lights' exclusive interview with the death glammers from October 2012: http://neon-lights.info/interviews/2012-10-06-deathstars.